Sticky St Kilda pub carpets, rock bands and Dr Martens are a familiar Friday night trinity for anyone who’s already lived through the ‘90s. 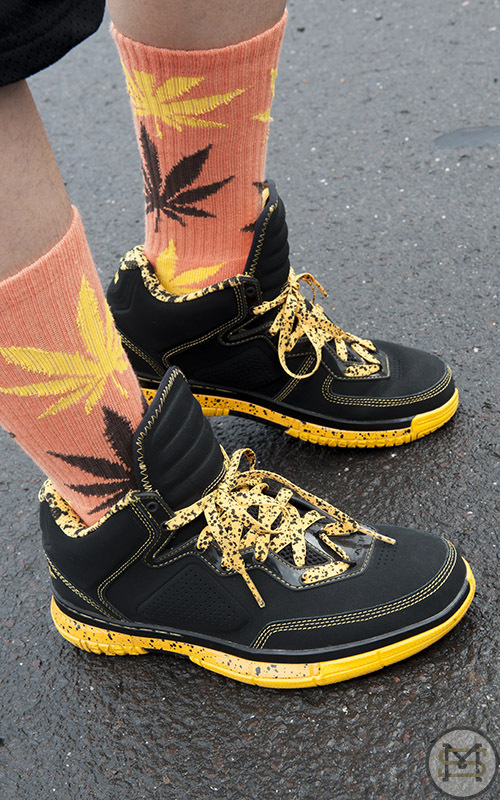 Second time around, the shoes that were once a symbol of rebellion have again become an on-trend fashion statement. 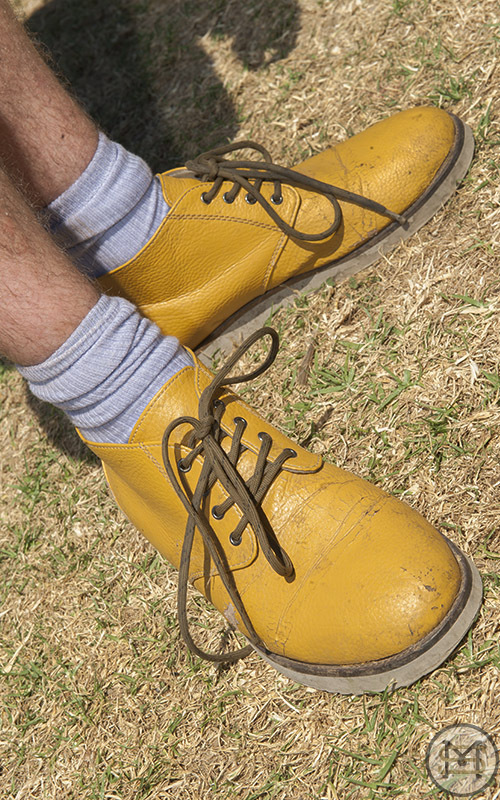 But while the meaning behind the shoe brand’s wear may have altered, its affiliation with music – and Melbourne’s live music home of St Kilda – is as strong as ever courtesy of the brand's #standforsomething pop-up store and intimate concert series happening next week in the suburb that started it all. Starting Monday, Dr. Martens will play host to three bands on three successive nights as a loud and dirty lead up to the opening of the four day pop-up store. 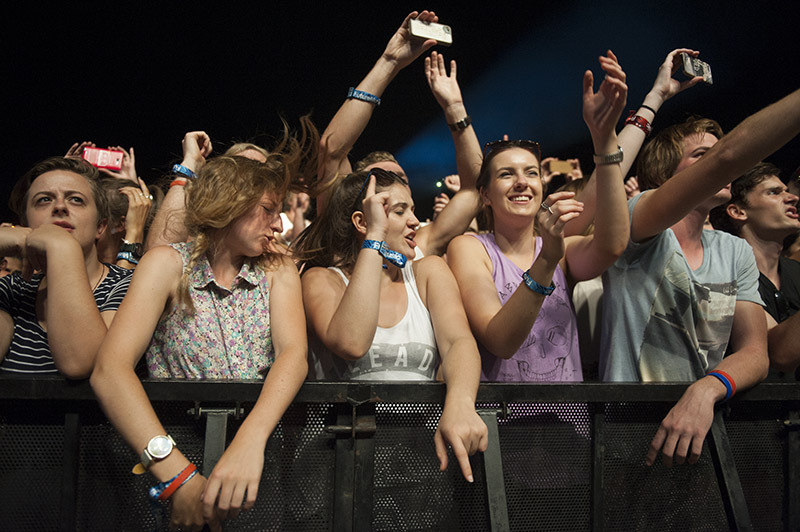 Stonefield (Monday, June 16), Kingswood (Tuesday, June 17) and English alt-rockers Band of Skulls (Wednesday, June 18) will be the ideal opening salvo for the fans that have been able to secure free tickets, only previously available via ballot. 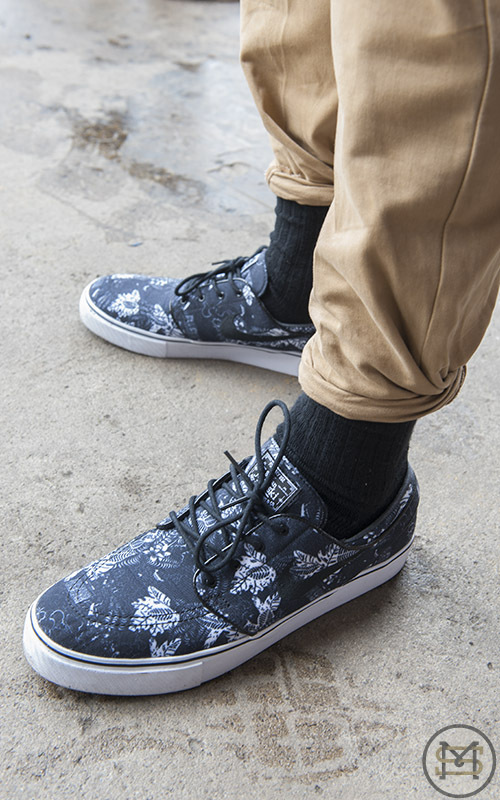 At the pop-up store, you'll find a selection of old favourites, once favoured by Melbourne Sharpies throughout the 1970s, as well as limited edition #standforsomething styles and key seasonal footwear. The #standforsomething pop-up store runs from Thursday 19th –through to Sunday 22nd June at the Lulu White Bar on Grey Street, St Kilda. Proof of the enduring rebirth of niche men’s retailing was there for all to see within the historic context of Melbourne’s Royal Arcade last night. E-tailer Nathan Jancauskas took a cut-throat razor to the red ribbon opening of Men’s Biz, a bricks-and-mortar store designed to showcase the retailer's range of high-end men’s grooming and shaving products that – until now – have only been accessible via the company's online platform. Designed by interior architect, Sarah Cosentino, Men’s Biz runs a chic apothecary aesthetic courtesy of floor-to-ceiling New York subway-style tiles and reclaimed timbers. Brass fixtures and fittings provide the sheen. There’s been a lot of movement in Melbourne’s fashion and retail scene of late, much of it controversial: H&M’s big move in to the GPO that saw displacement of a host of independent retail brands, not to mention this week’s headlines focussed on fashion labour laws and wage debates. But shifting landscapes also allow for new growth, and the opening of designer Clea Garrick’s first permanent retail space for her much-loved local label, Limedrop, at the base of the Nicholas Building certainly signifies the unfurling of a new frond. The expression of Clea’s brand and retail philosophy has resulted in a design utilising the best of the building’s bones – the Art Deco balustrade, curved concrete walls and brass door hinges – while keeping the rest somewhat stripped back. Character is there, of course, in a softening vertical garden and the geometric shapes contained within racks that reach to the ceiling, drawing the eye up to lighten and expand the space. It is indeed a backdrop well suited to showcase the designs characterised by Clea’s use of electric digital prints and silhouettes that communicate both Limedrop’s contemporary styling and strong sense of playful irreverence. It was a bit of happenstance that brought British-born, Melbourne-based photographer Robert Whitaker in to contact with the Fab Four during their unforgettable 1964 Australian tour. Having snapped manager Brian Epstein for a piece later published by a journalist friend in the Jewish News, Robert went on to – not only meet – but become established as the in-house photographer for Epstein's NEMS Enterprises, at that point managing a host of big ‘60s music names: Gerry & The Pacemakers, Cilla Black and the Beatles among them. But it was with the Beatles that he found his niche, travelling with the band for two years to shoot the mega group both on and off the stage, capturing them in moments of super stardom and off-time intimacy. For the next month a series of Robert’s works will be in display at Mario’s Café, the local Melbourne spot once frequented by the photographer. Pictures begin with the 1964 Aussie gigs and end with his iconic shot of the meat-clad Beatles – the infamous ‘Butcher’s Sleeve’. On show until June 29, these rare signed photographs will be on display and up for sale. The Unseen Beatles, May 28 until June 29, on show at Mario’s Café, 303 Brunswick Street, Fitzroy. The crisp autumn weather couldn’t have been more perfect for Cherry Rock, although sadly 2014 marks the last year that this one day music festival is to be held in AC/DC Lane, thanks to inner city noise restrictions and a block of apartments currently under construction less than 20 metres away from local rock institution Cherry Bar. Kicking off at the very civilised time of 12pm with a set by The Harlots, Cherry Rock 2014 promised 13 bands on 2 stages with no crossovers, making it easy to move from stage to stage and catch all of the bands on the bill. Things really started picking up speed once mid afternoon hit and the hard rock loving audience was treated to performances by Bittersweet Kicks, The Nation Blue (replacing an absent Don Fernando) and one of Makers of Melbourne’s favourite local acts, Redcoats, who closed their set with the crowd favourite ‘Dreamshaker’. 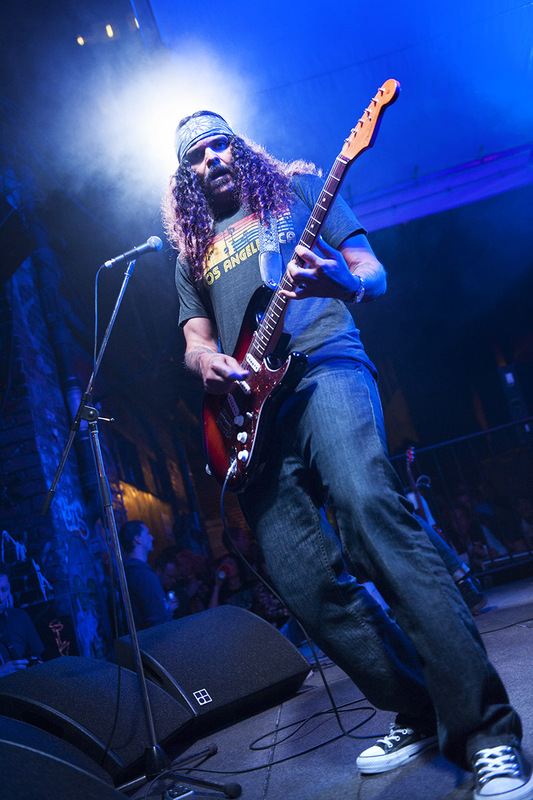 The two international headliners didn’t disappoint, with the narrow CBD laneway filled to capacity to witness California based Brant Bjork and punk legends Meat Puppets, playing their first Australian gig in over 20 years. The Meat Puppets treated the well-behaved crowd to a setlist of classics, including ‘Plateau’ and ‘Lake of Fire’, famously covered by Nirvana during their 1993 MTV Unplugged special. 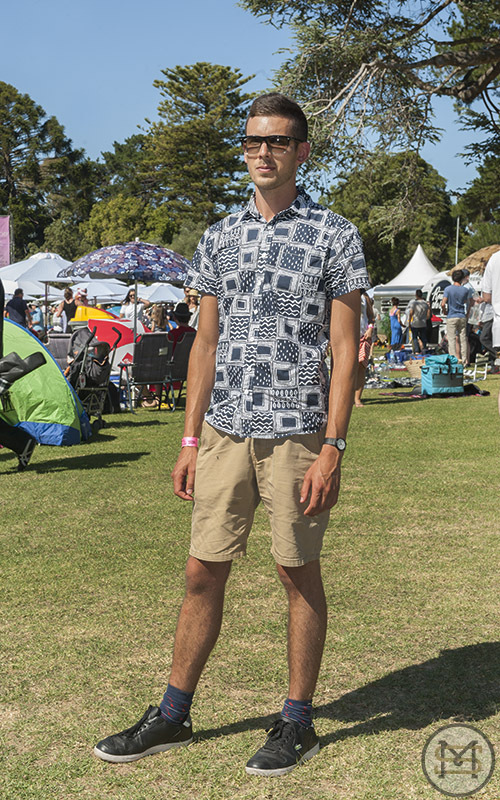 Both Cherry Bar and Cherry Rock festival have long supported local music and the 2014 lineup was no exception. With a majority of artists on the bill from Melbourne, the continued success of the event illustrates that with some careful planning and a team of organisers who have an obvious passion for live music, rock fans will continue to buy tickets to see live shows. It’s a blueprint that a few promoters in this country could learn from. Jenny Bannister is standing surrounded by racks of clothing in the front room of her St Kilda home. But what at first looks like a slightly over crowded sample room is anything but: hair is its customised tease, Jenny one by one picks out a host of outfits once worn by a who’s-who of ’80s and ‘90s pop stars. There is the two-piece worn by Tina Turner with its fitted black jacket and matching kick-pleat skirt; the black collarless jacket Kylie Minogue donned for her I Should Be So Lucky single cover; the immediately recognisable velvet jacket worn by Australia’s late ‘80s answer to Bananarama, the Chantoozies. And every piece comes with it’s own story. But the walk down memory lane is more than just an indulgence for the designer who headed her own label from its launch in the mid-1970s to its wind up in 1996 – it is the prelude to this Tuesday night’s fashion retrospective, an event designed to showcase the pieces created by the designer over four decades. Some 60 outfits will be paraded on the night in a charity event birthed by Jenny’s friend-in-fashion, the stylist Philip Boon. For Philip, the event is an opportunity to bring to light a cannon of work significant enough to have found placement in museums both in Australia and overseas: as well as having pieces bought by Christies and The Victoria & Albert museums in London, Jenny lays claim to the title of most collected Australian fashion designer by our own National Gallery of Victoria. For ticket buyers, it’s a chance to experience Jenny’s eclectic-punk fashion sensibility in all its eccentric glory. And it is eccentric, from the clear plastic punk rock ball gown that wouldn’t appear out of place in a Vivienne Westwood runway show, to the reef bikini pieced together with gold scallop shells worn by the 1978 Miss Universe finalist that wouldn’t seem out of place on a Bond girl. But being an “art clothier” (“someone coined the term for me in 1980 when I showed at the gallery of NSW”) doesn’t always gel with the economic realities of commercial design. Though energised by fellow designers and customers who gave Chapel Street its title as Melbourne’s top retail shopping strip throughout the 1980s and in to the early ‘90s, changes to the industry meant Jenny – since shutting down her business – is more than happy to play her hand at more artistic design collaborations. But first there is the retrospective. It will be, both Jenny and Philip agree, a huge night. Along with the clothing strutted to music will be an auction of one of Jenny’s one-off pieces, an art auction by venue hosts, Deutscher and Hackett, and a concert by – who else? – The Chantoozies. Oh, and for the grand finale? Philip has made sure the runway is large enough that Jenny has space to shake her groove thing following the finale. Philip Boon Presents… Jenny Bannister: A Retrospective Fashion Show held in conjunction with Prahran Mission and Deutscher & Hackett gallery. Held Tuesday, May 20, at 7pm. Tickets: $95. Event: Opening of Rue & Co. The pristine 'Paris' end of Collins street is not typically a late night hot-spot, but Thursday night saw this usually quiet end of the CBD overrun by the bad and the beautiful, with the VIP opening of pop-up street-food quarter Rue & Co.
Jimmy Grants by George Calombaris, Kong BBQ by Chris Lucas, and St Ali by Salvatore Malatesta will now ply their own unique menus from sister shipping container kitchens based at 80 Collins street. 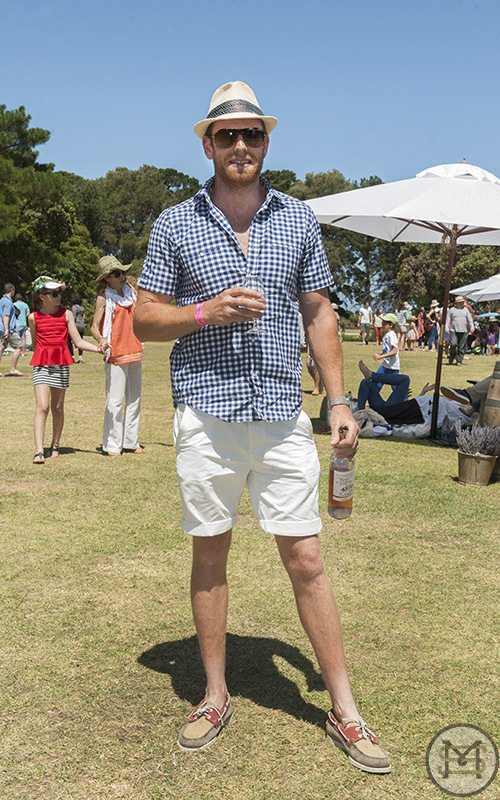 The soiree took place in the fairy-light-decorated courtyard, where invited guests were plied with a delicious selection of food and champagne, topped off by killer espresso martinis designed by champion barista Matt Perger. 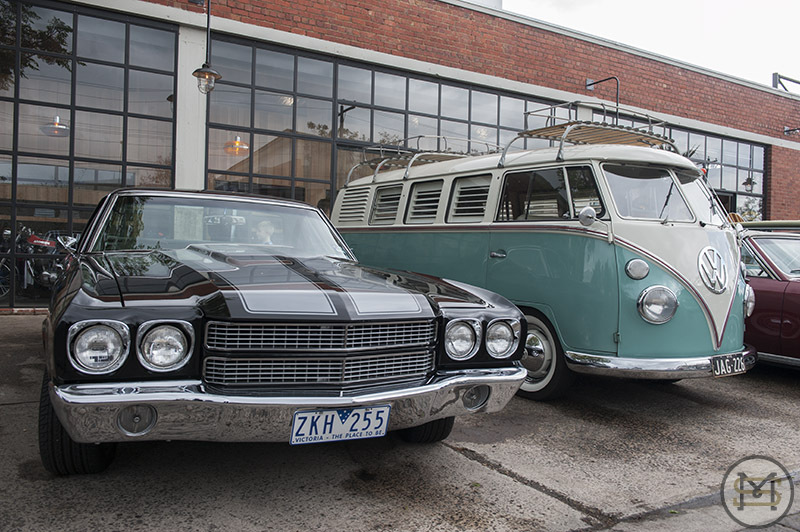 St Ali executive chef Andrew Gale sees the cult coffee institution's taking part in Rue & Co. as a great opportunity. “We’re rubbing shoulders with the high flyers on the restaurant scene. We’re a café, we’re a separate entity, but now [café’s] are starting to raise our game. The food is getting there." For Kong BBQ, this pop-up gives Executive Chef Ben Cooper the first chance to introduce the soon-to-open restaurant's food to the public, while Jimmy Grants will bring the best souvas from the popular Fitzroy restaurant to Melbourne city's white collar set. Rue & Co. is now open to the public (Friday 2nd May) from 7am. Like all great ideas, Menske began with identification of a commercial niche that appears largely to have been ignored: that of male-focussed retail. The bloke-friendly pop up above Allpress’ Collingwood roasting house and cafe has been pulled together by men’s apparel designer Courtney Holm. The inspiration? A recent New York trip that saw Courtney stumble upon a space devoted entirely to collation of designs for men. Certainly there is nothing of the cutesy about it. 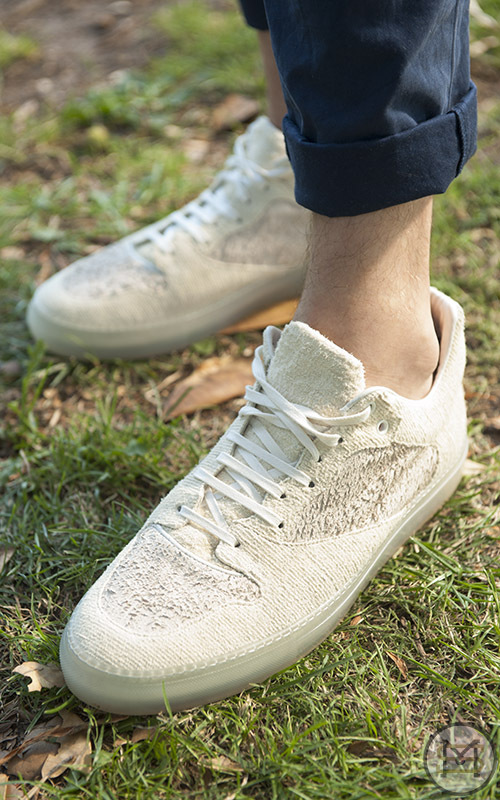 Instead the majority Melbourne-based brands run the gamut from cult wallet maker, Bellroy, to shoe designer &Attorney, men’s skincare product from boutique brand, lief, and striking haute sport-style apparel from Courtney’s own label, Article. Coffee is plentiful and Gertrude Street menswear retailer Pickings & Parry has its barber on loan for the weekend. But the pop up’s creation is not all about retail. For Sydneysider Courtney, the event is equally designed to cultivate relationships between makers, ‘Menske’ being a Nordic word with a textured meaning: a noun, if you like, to describe honourable and courteous intent among Mankind. Menske is on at 84 Rupert Street in Collingwood this Saturday and Sunday, April 12 and 13. Open from 11am-8pm Saturday and 11am-6pm Sunday. The next series of Menske pop ups are scheduled in Melbourne this coming August and December. Makers of Melbourne kicked off its annual series of men’s style discussions with a bang on Tuesday night, hosting tailoring, literature, design and arts luminaries from London, New York, Melbourne and Sydney – each with a unique take on the historical, social and cultural context of men’s fashion. Journalist Sarina Lewis from Makers Of Melbourne moderated the style panel discussion, 'Fashion Maketh The Man', hosted by the Australian Centre for the Moving Image (ACMI), as part of the 2014 Virgin Australia Melbourne Fashion Festival cultural program. Panelists included Roger Leong, curator fashion and textiles from the National Gallery of Victoria; Sydney-based bespoke tailor John Cutler; fashion and denim designer Roy Christou; celebrity stylist Philip Boon; plus online via Skype, author of 'The Coat Route' Meg Lukens Noonan (USA), and from Grenson shoes, Tim Little (UK). 1. Man’s current obsession with body sculpting finds an echo in the original Dandies who padded the breast and shoulders of their suits to provide the classic ‘V’ shape, a look to denote masculinity. 2. The term ‘bespoke’ originates from the traditional idea that a fabric has been spoken for by a client – be+spoke. It is much more than the idea of made-to-measure, pointing to a relationship and exchange between tailor and client. 3. Buttons changed, not only approaches to tailoring, but the very fabric of society: the importance of children in the modern family is said to have occurred as a direct result of reduced baby mortality rates courtesy of clothing and blankets that could be buttoned for extra warmth. Apparently we only grew attached when we knew we could keep ‘em alive! 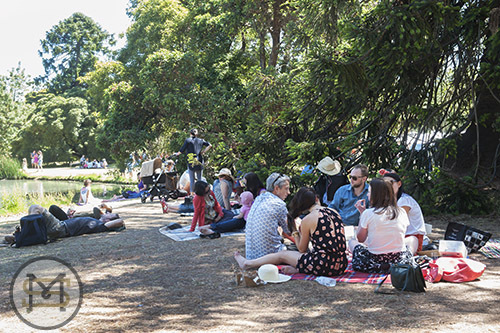 Keep abreast as Makers of Melbourne continues throughout the year to profile the cultural cogs in the Melbourne landscape – personalities that influence how we dress, and how we think of ourselves and our city. 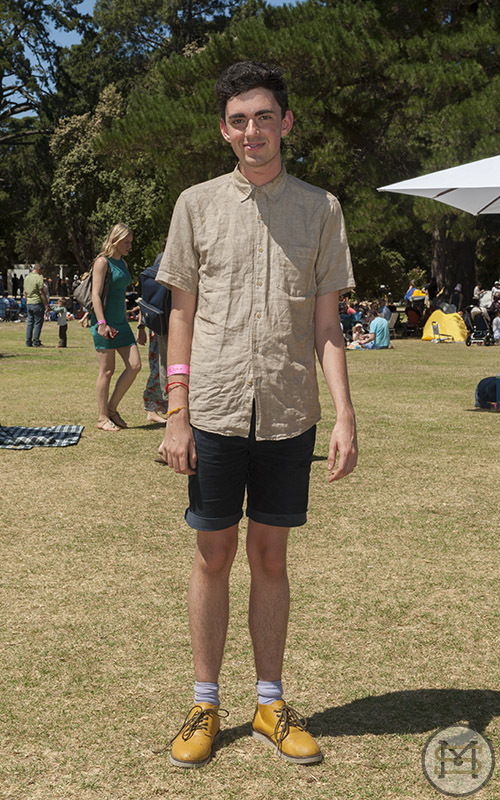 Not even temperatures ­­of over 30 degrees could keep the dance music fans away from Melbourne’s leg of the Future Music Festival, held on Sunday the 8th of March. 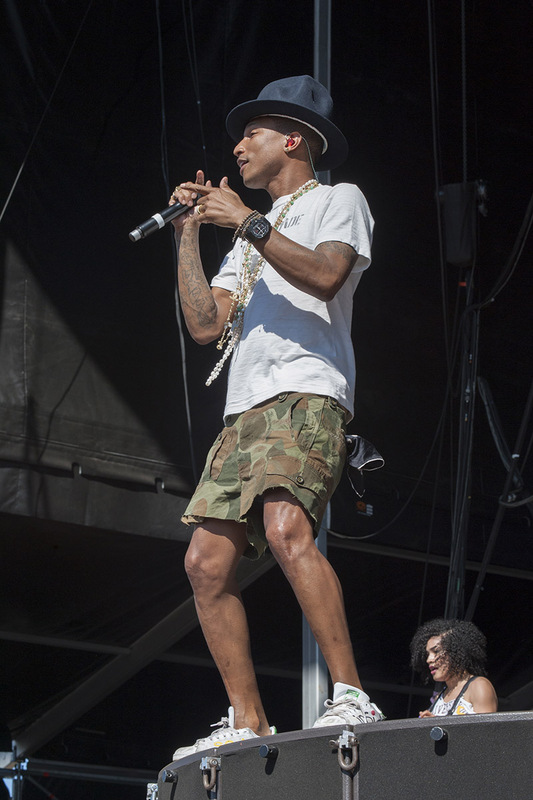 Setting up temporary camp at Flemington racecourse, Future punters were treated to scorching afternoon sets by Pharrell Williams, last year’s Triple J Hottest 100 winners Macklemore and Ryan Lewis, Tinie Tempah and Melbourne’s own Cut Copy. As the sun started to set, London based outfit Rudimental got the hot and bothered crowd moving and inspired a mass sing-along to their hit ‘Feel the Love’. They were followed up by headliners Phoenix, who had everyone dancing as they played their way through a setlist of songs including hits from 2009’s ‘Wolfgang Amadeus Phoenix’ and last years release ‘Bankrupt’. 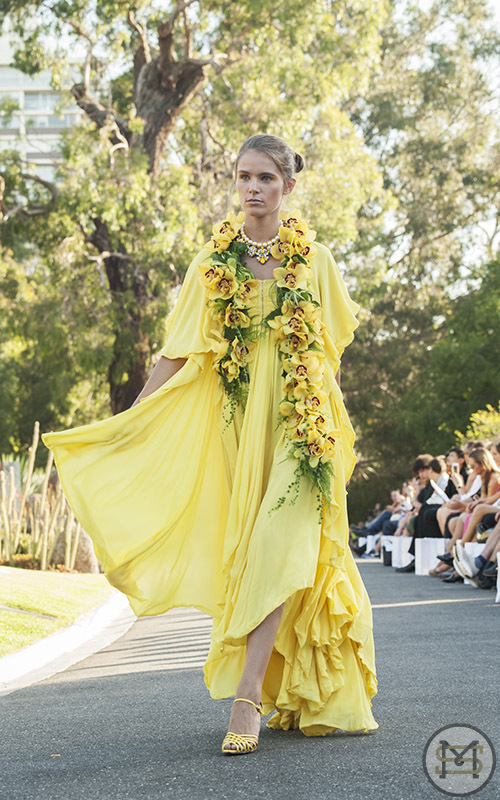 The inaugural Royal Botanic Runway transformed the majestic Royal Botanic Gardens Melbourne into an international runway event on the evening of Thursday, 30 January 2014. This charity event featured world-renowned Australian designers: Akira Isogawa, Aurelio Costarella, Collette Dinnigan and Martin Grant, who each produced stunning pieces to be worn by over sixty local and international models. But it wasn't just on the catwalk that the best of Melbourne style was evident with the boys also turning out to support the charity fashion parade. 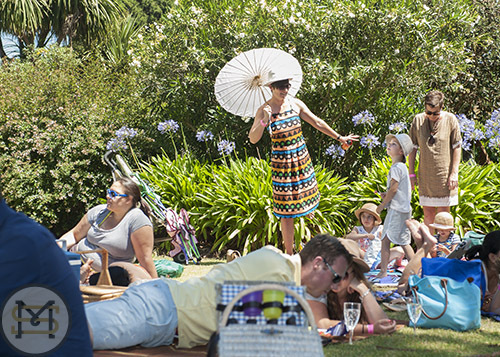 So Frenchy So Chic has grown to become one of the highlights of Summer in Melbourne. 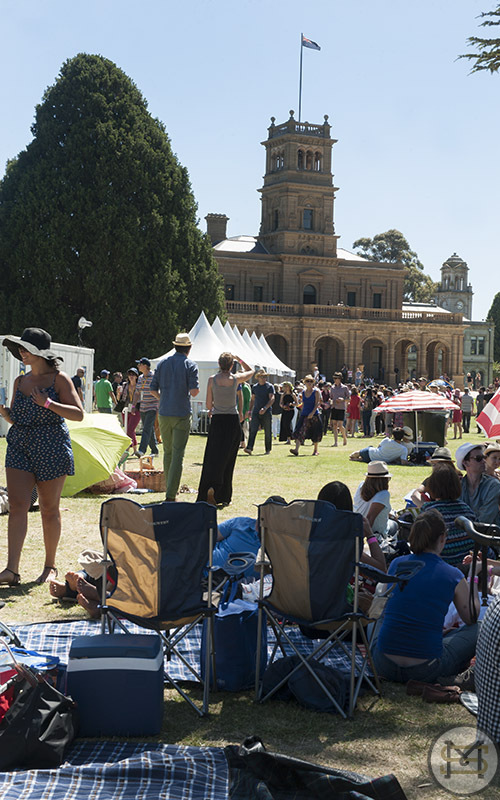 Werribee Mansion hosted the ultimate garden party last Sunday, featuring the best of French music, food & wine - the perfect event to display why even when taking it easy, the French still retain that special je ne sais quoi. Prior to the 2012 Melbourne Spring Racing Carnival, VRC Members were invited to Henry Bucks for a fashion event in October 2012 to promote dressing for the Derby Day in a traditional Morning Suit.